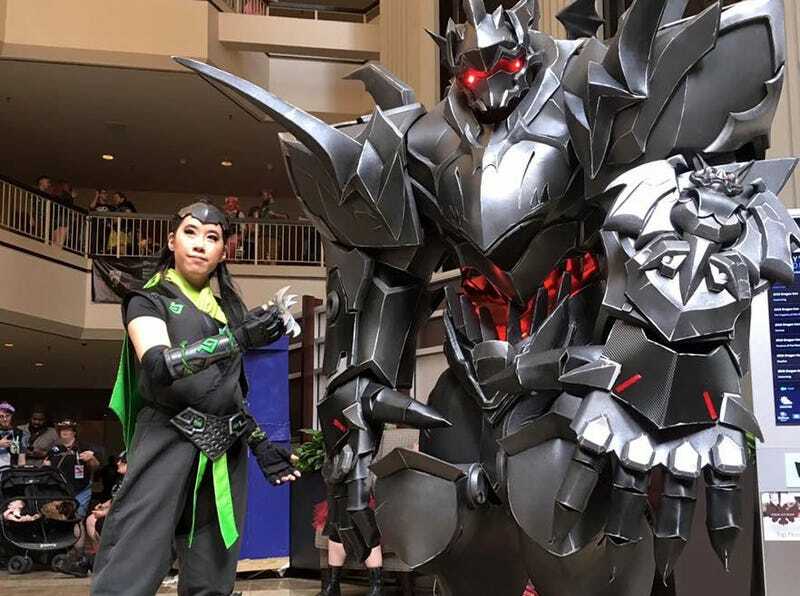 Egg Sisters have been absolutely dominating Dragon Con with this Reinhardt, which despite looking like an enormous statue is actually a cosplay outfit that can turn, wave its arms and even walk. 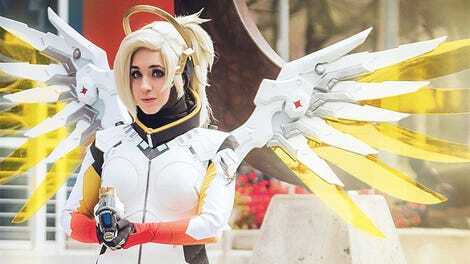 To get an idea of the scale of the costume, look at this! Incredible. You can see more of Egg Sisters’ work at their Facebook page.